Last week I wrote possibly the most personal post that's been on my blog, and I couldn't have had a better response! I was a little nervous to get so personal and share it with the world, but after posting my social media was flooded with amazingly lovely comments which left me sat on my bed with a beaming smile on my face feeling like my heart could burst with happiness! Seeing all those amazing responses made me think to myself that as it made me feel so good, maybe I can spread a bit more positivity around the internet! Which is why I've created this tag, The Self Love Tag. The Self Love tag is a tag created to bring a bit of happiness and self love to whoever takes it on. A tag full of questions that includes insecurities, guilty pleasures, things that you love in life and things that you love about yourself to make you realise that that's ok, it's what makes you, you! Tag 5 people who you want to bring a bit of happiness to. What is something that is getting you down at the moment? The fact that I'm not currently in a job. What is something that makes you happy? Spending time with loved ones! Name 3 guilty pleasures! Cheesy boybands, musical movies and owning too much make up! What is something about yourself you want to improve on? My fitness. When was the last time you belly laughed? When my brother thought that sticking some chicken in bread in the microwave would make a toastie. What is your biggest insecurity/fear? Not being liked. Name a song that always cheers you up when you're down. 'You Get What You Give' The Glee Cast version. Name 3 things you like about yourself! My eyes, my sense of humour and my smile. What is an achievement that has made you proud of yourself this year? Getting mostly 2:1s in my first year at Uni, I even managed to bag myself a 1st! Tell us your happiest memory. Probably when I was 8 and my Grandad paid for my family to go on holiday in Disney World in Florida. I'd do anything to relive that holiday! To kick off this tag I'm going to tag 5 lovely blogger gals; Grace, Beth, Caroline, Eleanor and Sally. 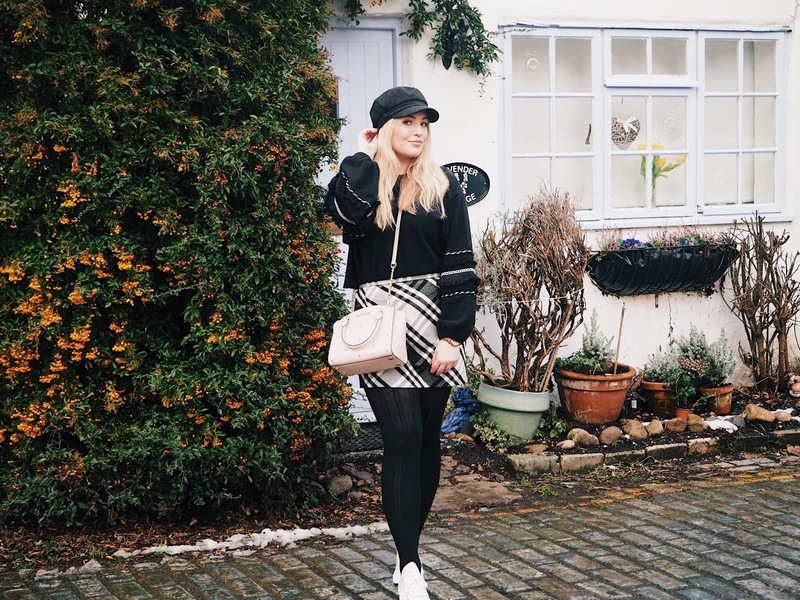 I hope this catches on as I can't wait for other bloggers to feel a bit happier within themselves and tell us a bit more about who they are, there's too much negativity in the blogosphere at the moment!